Our members are always up to something, whether it’s winning awards or appearing on TV, the members news blog will keep you updated on their activities. Knowledge exchange is key to delivering more sustainable farming. Here Melanie Wright, Grants and KEC Support Officer, at the North Wyke site of Rothamsted Research, our latest Innovation Centre, tells us more about how they are communicating research and new technologies to farmers. The highly successful NFU ‘Grasslands in Profile’ event hosted here at Rothamsted Research North Wyke last month provided the ideal occasion at which to launch North Wyke as the newest member of LEAF’s network of Innovation Centres. Focussing on grassland soils, this joint event formed part of the NFU’s programme of activities for the international Year of Soils. Attracting over 70 attendees, the event was an excellent opportunity for researchers, technicians and students here at North Wyke to present their research and introduce visitors to the North Wyke Farm Platform Capability, the world’s most highly instrumented grassland livestock farm. Despite torrential downpours throughout the morning, the Devon weather was on our side in the afternoon and visitors were treated to a tour of the farm platform with the sun streaming over Dartmoor in the distance. Robert Orr, Manager of the Farm Platform, was stationed in a windy spot at the top of the site from where he provided visitors with an overview of the farm platform and the three grassland systems being trialled on it. Andy Retter, Instrument Technician on the Farm Platform, guided groups around through the working of one of the 15 flume labs located on the Platform which measure run off from the fields as well as a range of chemical and physical measures of water quality. For the last stop on the tour Dr Rob Dunn introduced visitors to the research undertaken on the platform to measure greenhouse gas emissions from grasslands. Using state of the art LICOR chambers, researchers at North Wyke are measuring greenhouse gas emissions during grazing and following ploughing and re-seeding events to quantify the true impact of grassland livestock production on greenhouse gas emissions. 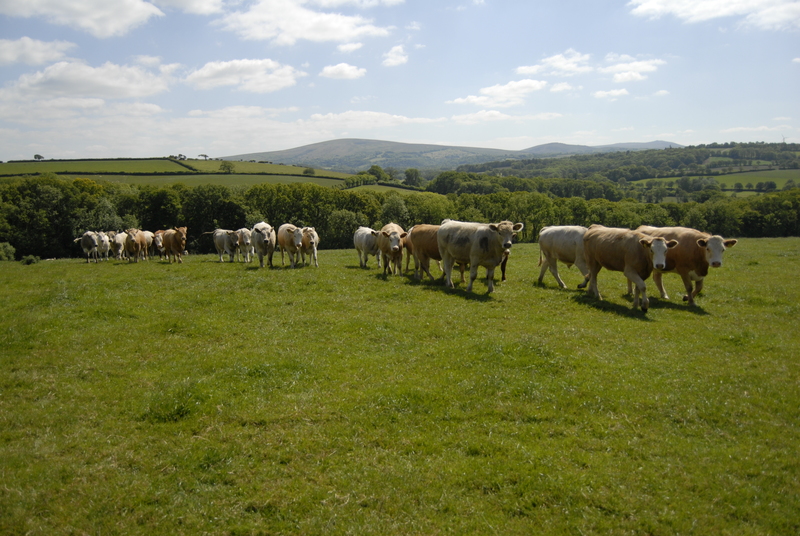 The BBSRC supported Farm Platform National Capability at North Wyke is at the cutting edge of research into sustainable grazing livestock systems. However, we recognise that impact will only be achieved through the dissemination of this research to the farming community. The enrolement of the North Wyke site as a LEAF Innovation Centre and events such as ‘Grasslands in profile’ are part of our growing activities to aid the transfer of knowledge to our stakeholders to put research into action. As a LEAF Innovation Centre, North Wyke will play a key role in showcasing sustainable farming methods, particularly in the area of grassland systems. Looking to the future North Wyke will undertake an active programme of events that will promote the principles of sustainable agriculture and Integrated Farm Management (IFM) and promote the research undertaken here to identify the most sustainable means of rearing pasture-based livestock. In 2016, North Wyke will be working closely with the newly appointment farming representatives on its Research Advisory Group to ensure that the research undertaken at North Wyke will deliver the maximum impact for the farming sector. 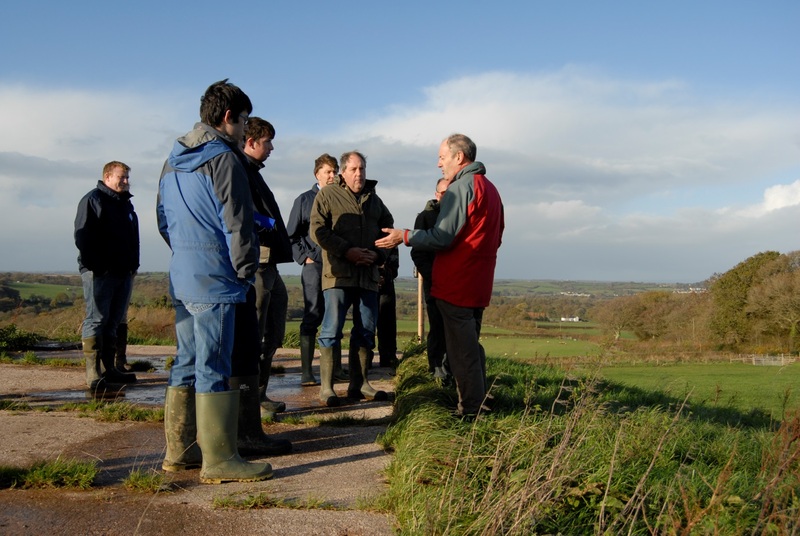 We will be running a number of farm tours and working with partners including LEAF to host events to further share the research and knowledge coming out of our work at North Wyke. The Woodland Trust joined LEAF as a corporate member last year. Helen Chesshire, Senior Advisor at the Woodland Trust explains more about the Trust, why it supports LEAF and the wider benefits of trees on UK farmland. The Woodland Trust is the UK’s leading woodland conservation charity. It looks after more than 1,000 woods covering 190 square kilometres. The Trust aims to protect, restore and create new native woodland cover across the UK, which is one of the least wooded in the whole of Europe. The Trust wishes to create healthy, resilient and wildlife-rich wooded landscapes and with 70% of the land in the UK managed for agricultural production it means that the farming sector is key to helping us achieve this. 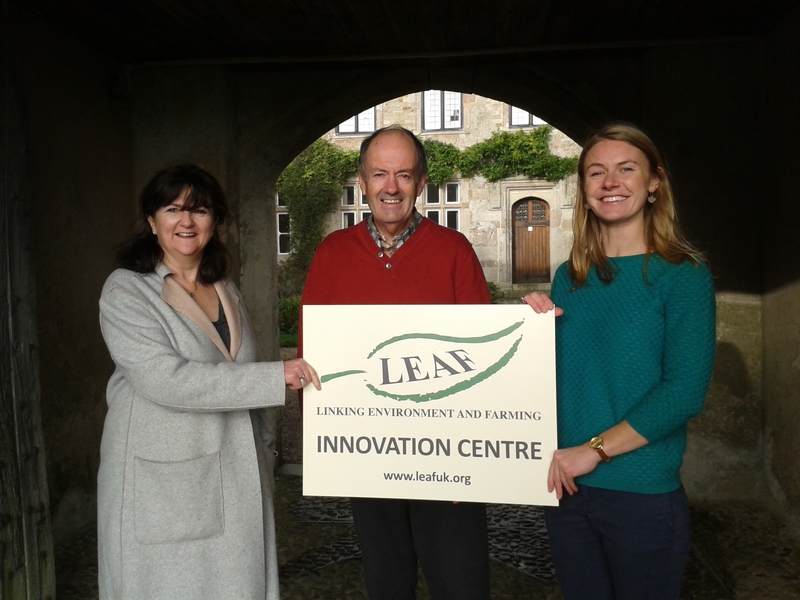 As the leading organisation promoting sustainable farming and food, LEAF was an obvious partner. We are hoping to work with LEAF to help raise awareness of the role of trees on UK farmland as well as to demonstrate best practice and encourage farmers to value, preserve and protect their trees and woodlands for conservation benefits. We have worked with David Rose, LEAF Marque farmer in Nottinghamshire to create a silvoarable scheme in a bid to nourish his soils, improve crop yield, attract pollinators, encourage local wildlife and create an additional source of produce. We would welcome an opportunity to work with other LEAF farmers who are interested in increasing tree cover on their farms. 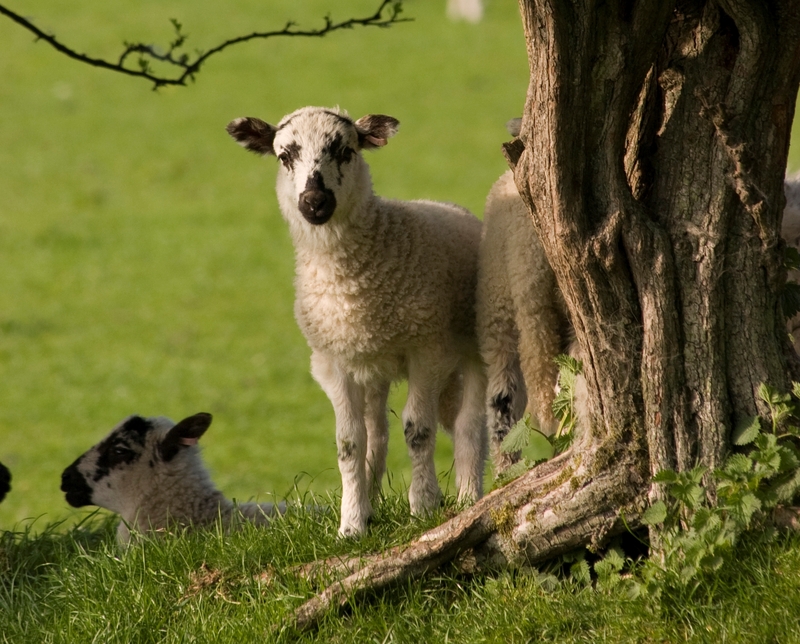 What does Integrated Farm Management [sustainable farming] mean to the Woodland Trust? As a whole farm business approach IFM delivers more sustainable farming systems which in turn can help create a more resilient landscape. Trees are a cost effective tool that can deliver a wide range of services on farms to help achieve this whilst also delivering important services for the wider environment. For example, a shelter belt can improve crop water efficiency which has been proven to increase wheat yields by 3.5% – more in dry years. It can also provide shelter in cold, wet and windy weather reducing the incidence of neonatal lamb losses. They can also help provide habitat for pollinators and other wildlife and aid movement of species as they seek to adapt to the changing climate. Similarly, narrow strips of trees along contours or waterways can protect soils from erosion by increasing the water infiltration rates of the soil, reducing surface water runoff and damage from poaching. But they can also help improve water quality by trapping agricultural pollutants before they enter water courses. Planting up unproductive areas or awkward corners can improve the management of the farm; provide a sustainable source of on-farm firewood as well as a valuable wildlife habitat. The last few years have proved very difficult for farmers with unprecedented challenges from both drought and floods. Climate change models predict that extreme weather events are likely to become more frequent, so finding ways to mitigate the effects is becoming increasingly urgent. 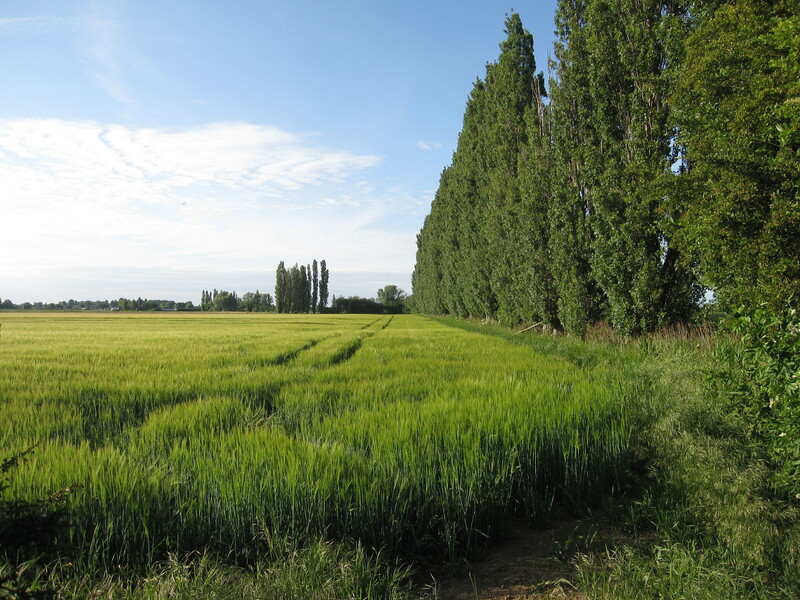 Research shows that managing existing trees and planting additional trees in the right place can help farms become more resilient, and more cost effective. From simple hedgerow plantings to fully integrated agroforestry systems, trees can help address a range of issues affecting sustainable production by contributing to shade, shelter, water and pollution management, reducing soil erosion, pollination, Integrated Pest Management and product diversification. 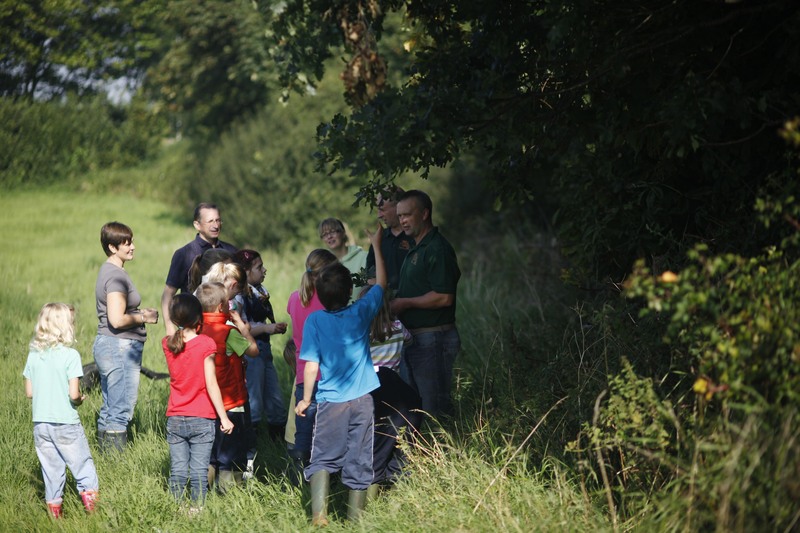 How can initiatives like Open Farm Sunday help in raising public awareness of the importance of trees and woodland? The Woodland Trust aims to inspire everyone to enjoy and value woods and trees. All our woods are freely open to the public and we run a wide range of free events including community tree planting days, guided walks, bush craft and much more. We know from experience that the simple act of planting a tree can stay with a child forever opening their eyes to the importance of nature. So we know that initiatives such as Open Farm Sunday are very effective in helping people to understand and value the food our farmers produce and the environment that supports it. Trees conjure up an image of beauty, power and longevity; highlighting the role they play in sustainable farming systems can only help to ensure future generations appreciate the balance required between an increasing global demand for food and recognition that the natural (farmed) environment is fundamental in supporting ecosystem services such as clean and plentiful water as well as food production. Tell us a bit more about how The Woodland Trust supports farmers to increase the number of trees on their farms? The Woodland Trust is working in partnership with farmers across the country to study the effects of strategic tree planting on farms. This includes help to plant shelter belts, riparian strips, pasture trees and small areas of woodland or to develop silvorable/pastoral schemes. Our Woodland Creation Advisors can provide free advice and support providing a whole farm tree planting assessment, design of planting scheme and identification of potential funding support. In return, we ask that you maintain the trees and allow us to monitor the effects on your farm for an agreed period of time. The results will help us develop more UK based evidence and an opportunity to influence future agricultural policy. We are delighted to welcome Frogmary Green Farm as a LEAF Demonstration Farm. LEAF’s nationwide network of over 40 LEAF Demonstration Farms showcase the very best of sustainable farming practices. 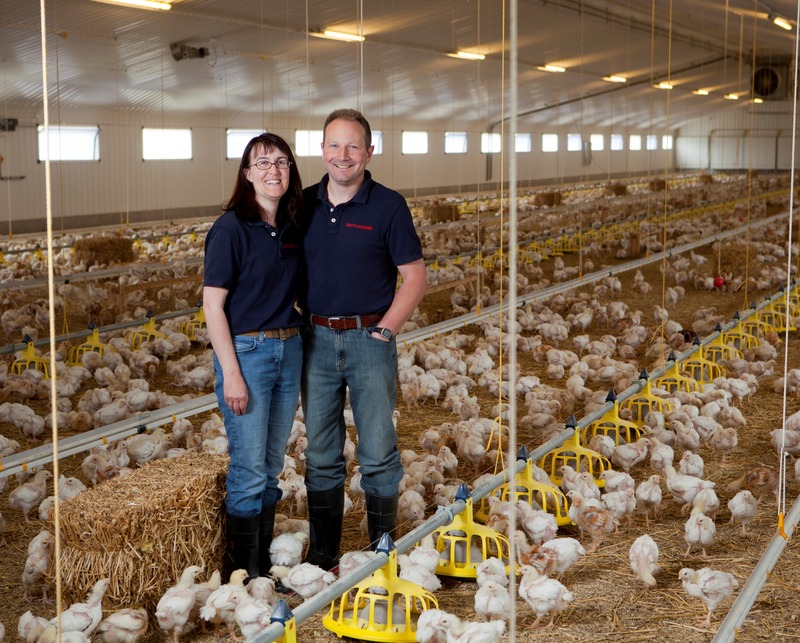 Nick and Claire Bragg run Frogmary Green Farm, a 500 acre poultry and arable farm, based on the edge of South Petherton in Somerset. The farm also grows potatoes for supermarkets and maize and grass for fodder. Frogmary Green Farm joined LEAF in 2008, became LEAF Marque certified in 2013 and regularly hosts both Open Farm Sunday and Open Farm Schools Days. 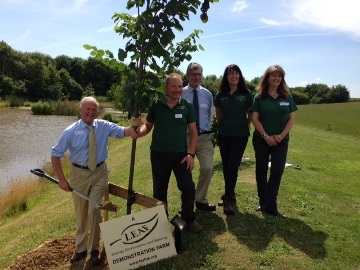 Frogmary Green Farm was officially welcomed to the network during yesterday’s event which included the planting of a large leaved lime tree by Lord Cameron of Dillington who spoke of the great work Nick and Claire are doing. A short tour of the farm included a visit to one of the chicken houses, where one of Frogmary Green Farm’s main ‘crops’ can be seen through a viewing gallery. Nick and Claire were the first to install a biomass woodchip boiler for heating chicken houses, utilising locally sourced timber. Other discussions included potato production and more about their ongoing commitment to environmental enhancement such as through the planting of some 4 kilometres of hedgerows and over 500 trees since 2002. Pollen and nectar margins to provide extra habitat for bumblebees and other insects have also been established. This has resulted in a huge variety of wildlife making its home at Frogmary Green Farm including cuckoo, linnet, song thrush, swift and whitethroat. As a LEAF Demonstration Farm, Frogmary Green Farm will act as a ‘living classroom’ demonstrating and promoting the principles of Integrated Farm Management to opinion formers, educationalists, politicians, consumers and conservation groups as well as to community groups and local schools. LEAF Demonstration Farms play a hugely vital role in sharing best practice amongst farmers as well as being a great way to help educate the public about how modern food production can co-exist with protecting nature and the countryside. Frogmary Green Farm is an excellent example of sustainable farming in action and represents what Integrated Farm Management is all about. Frontier is the UK’s leading crop inputs and grain marketing business, recognised for its close customer relationships with farmers and grain consumers and its successful management of the whole arable supply chain. Frontier operates across all aspects of arable crop production and marketing supplying seed, crop protection products and fertiliser to farmers. They have a team of 115 agronomists providing specialist agronomy advice to farmers. Frontier have been members of LEAF since 2003 and have been a principal sponsor of Open Farm Sunday since 2007. Michelle Andrews, Frontier’s Public Relations Manager tells us more about the business and why they support LEAF. Tell us a bit more about Frontier, what is the secret of your success? We employ more than 800 staff across 46 sites nationwide, with around 150 of those based at our headquarters in Witham St Hughs, near Lincoln. Our success comes from the expertise of all our employees and it’s vital that we attract and retain the best people, who in turn nurture strong relationships with all of our clients. You pride yourselves in your dedication to your customers and quality products. How do you achieve this? Our customers know that they can rely on our people for specialist, expert advice and seamless delivery across the supply chain. Customers build close relationships with their own small team of specialists who get to know the people and the farm so that they can tailor their advice to achieve the best possible outcomes for that particular business. All of our work is supported by research from a national trials programme that covers 140 hectares on 23 sites, and we have a continuing commitment to researching new techniques and technologies that can improve all aspects of crop production, for example we are now able to use our unmanned aerial vehicle (UAV), to map fields and produce detailed images which can be used to highlight specific crop attributes. It offers benefits in a range of areas including crop health monitoring, weed identification, yield estimates and plant counting. Farmers are increasingly having to find innovative ways of responding to the challenges of climate change, how do Frontier view their role in helping farmers do this? Frontier’s agronomists have always taken an integrated approach to crop production. They consider the impact of the rotation on soil health, the use of different cultivation techniques and soil nutrition, as well as crop variety choices. By taking this wider view they are able to help farmers adapt to changing conditions. As we experience more extreme rainfall events for example, we have been looking at the potential of cover crops to capture nutrients, increase soil organic matter and limit leaching and soil erosion. What are farmers looking for in their crop protection products? How are their needs likely to change in the future? Quite simply, products need to be effective. Good management of the way they are used on the farm ensures that there is less likelihood of resistance and minimises the impact on the environment, and of course that can often lead to cost savings, which are always welcome. In future we are likely to see the development of new crops which are more disease resistant and readily able to extract more nutrients from the soil. What does Integrated Farm Management mean to Frontier? The principles of IFM have been the foundation to our agronomy for many years, and we always looking for new ways to improve the service we offer. The use of a range of crop inputs will always be vital for food production, but these need to be managed by using a wide variety of stewardship methods to compliment them. Our Kings division are experts in conservation and cover crops and advise on all aspects of environmental stewardship. This is also complemented by SOYL who specialise in precision crop production and variable rate technology. This combination of specialist services allows the grower to maximise yields while simultaneously limiting the impact on the environment and encouraging biodiversity across the farm. Why LEAF and Open Farm Sunday? Frontier is in the privileged position of knowing the agricultural industry inside out and working with farmers every day of the year. We feel it is vitally important to share that knowledge with the public. The work which LEAF does in managing Open Farm Sunday ensures that people can gain a much better understanding of how agriculture works, and based on that they can make more informed decisions and understand the issues faced by farmers. Additionally, many of Frontier’s staff have their own farms and love having the opportunity to show people what goes into producing the food we eat. Frontier Agriculture are corporate members of LEAF and principle sponsors of Open Farm Sunday, for more information on corporate membership please click here. 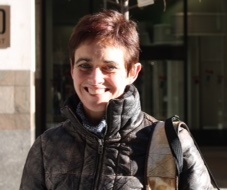 Alice Midmer joined the LEAF team last year to produce some practical on farm background to the Simply Sustainable Soils booklet. 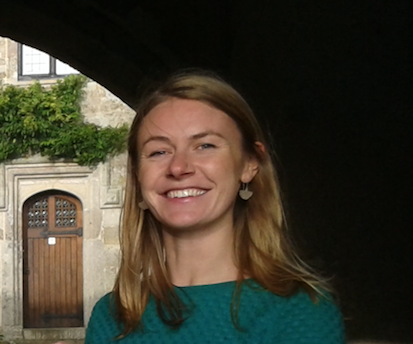 In this post, Alice tells us about her experience visiting some of our members’ farms across the UK. Fresh from two terms of an Environmental Bioscience Masters at Warwick University, I went straight in to a more practical experience of environmental matters and food production, with a three month placement at LEAF. My task: To produce some practical on farm background to the Simply Sustainable Soils booklet. The first task was to assemble a list of ‘Reference Farms’ from which to take detailed soil data and site-specific soil management information. The project was run in partnership with Asda and the reference farms consisted of both LEAF Demonstration Farmers, LEAF members and Asda farms. Next a (lengthy) questionnaire was produced to ensure sufficient data collection. With that, the only thing left to do was get out there! New to agriculture, armed with my Mini and some reassuring words from the LEAF team, I was off. During July, I was lucky enough to visit 23 farms during what turned out to be the hottest, sunniest, loveliest month in years – what a joy (and contrast to the current weather)! The farms were located in a total of sixteen counties but the many Mini miles on the motorway were made worthwhile by the beautiful parts of the country I was able to visit and the fascinating and knowledgeable farmers I had the pleasure to meet (and no, none of them paid me to say that). In addition to collecting valuable and vast amounts of data, these visits also provided me with a fantastic insight into soil management and Integrated Farm Management. After just a couple of visits, the complexities, compromises and trade-offs farmers face on a daily basis became apparent. Through seeing first hand some of the sustainable soil management techniques deployed by many farmers, I started to understand the real meaning of IFM and what this means to farmers across the board. This further understanding has made me incredibly keen to contribute all I can to the industry in terms of a fresh perspective, analytical experience and communicating farmers’ messages to the wider public. The opportunity to visit over fifteen LEAF Demonstration Farms, working effectively and producing a more sustainable food source economically, was an incredibly good introduction to agriculture. In addition, LEAF Demonstration Farms encourage technical visits from a wide range of farmer groups and so if seeing different aspects of Integrated Farm Management in practice sounds like something that might benefit your business find your nearest LEAF Demonstration Farm here. Alternatively, I compiled a case study for each of the farms I visited. To get a sneak peek into the Integrated Farm Management ethos of some of the farms I visited and see how sustainable soil management works in different scenarios take a look here. The case studies consist of a number of different soil, farm and enterprise types and six are available to download from the LEAF website here, a full set of 23 will be available to LEAF members soon. 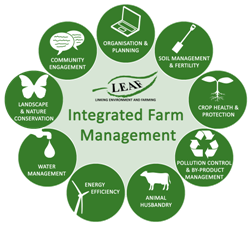 Where in the world are the best examples of Integrated Farm Management (IFM)? Following Susie Emmett’s post about why Kenya has lots to inspire us, Andrew Burgess, LEAF Trustee and Director of Agriculture at Produce World, shares with us his notes on the same tour. This is the second post in a short series of posts on IFM in Kenya, subscribe to receive them straight to your inbox! Set off to the airport to meet 3 other farmers at Birmingham, hadn’t a clue what they looked like. Didn’t take long to spot the ‘Farmer on Tour Hat’ and we all met up. Then off to Amsterdam to meet the other 6 farmers in the team. Sat next to Tony on the plane to Nairobi, we got chatting about each other’s farms and business, and the learning began. The farmers on the trip are all of the ‘learned’ types, Nuffield scholars etc., so a pretty good bunch to bounce theories and ideas around, should lead to a stimulating and useful trip. After a rough night on the plane and the rigours of Nairobi airport we were determined to stay awake so we went to the Elephant Orphanage and then onto the Nairobi branch of the Farmers Club for a good old fashioned colonial Sunday lunch. Now arrived at the hotel to meet 2 local radio journalists, it’s a great time to be interviewed having now been up for 36 hours! Team building tonight! Wow, what a day, I thought my head would explode with new knowledge overload, I’ve seen some fantastic things today which give me great hope that there will be life after pesticides. We met a fantastic and philanthropic couple (look it up) who hailed from Norfolk and have now made their lives in Kenya, both from an academic research background they have created 2 magnificent but intertwined organisations. They have developed a menu of products to tackle nutrition, pests and diseases using beneficial insects and fungi. I won’t go into massive technical detail other than to say that I left the place hugely inspired and motivated to test these ideas on a field scale in the UK. I think they have the potential to be a big part of pest control in brassica growing and very interesting for Potato Cyst Nematode reduction. Henry and Louise Wainwright had huge credibility the way they explained the research, production and use of these products, which are used on outdoor field scale here in Kenya. Which is a charity, they have developed a range of simple and very low cost solutions to help small Kenyan farmers produce more food, highly nutritious, especially in Vitamin A & Selenium. 1m square vertical gardens, worm farms to recycle food waste back into fertilizers, mini AD plant to run your cooker and hot water, water harvesting & they are training people how to use these things alongside there very affordable bio solutions. (See pictures) This all fits in with their big purpose, which is based on the fact that Aids viral treatments don’t work unless the user has a good diet. To put that into perspective 30% of students at the local university are HIV positive. There big issue is what to do next, they need capital to role out this fantastic work but they don’t want to sell out to un-ethical corporate business, how about an ethically based crowd funding campaign. After a fantastic lunch on the veranda we travelled to an Avacodo farm, producing fruit for UK retail, it was out of season but still interesting. We then crossed the equator en route to our overnight stop, in case you’ve always wandered the water goes clockwise around the hole 20m North and anti-clockwise 20m South and yes, straight down if you’re on the line itself. I am staying in a tent in the bush 200m from the very remote lodge where the rest of the team is staying, it might be an interesting night!! A very different day today, not so mind expanding but much more into farming on the edge. We met Apollo who is Director of Agriculture and CSR for KHE, Kenyan Horticulture Exports. A very impressive man who was very passionate about his farm, his community and all things Kenyan; he never stopped smiling and laughing all day. They grow Fine and Runner beans, tender stem broccoli, mange tout, baby corn and will shortly be into year round asparagus production. They export 95% of their crops mostly to UK. We visited his plant nursery to start, all hand done, compost into trays, seeding etc., They make their own steam sterilised compost with only 30% peat added, so it can be done! Although the plants had a few unhealthy specimens among them. Then to the fields, again hand planting and weeding, crops were good and it seems performance is improving on the back of new investment after 7 years of lean; it is biblical here! The highlight of the day for me was seeing the new Waitrose foundation maternity hospital, built in the middle of nowhere and servicing a community seemingly forgotten by its own government. They have also built a five classroom sized school and funded the teachers. The Waitrose Foundation channels money from retail sales and distributors directly back to projects that the communities growing crops for them want. It seemed to me to be a very efficient way of doing good in Africa, little beaurocacy and little chance of people to fiddle a bit of cash for themselves. We had a great debate about the rights and wrongs of exporting food from Kenya where 4 million people needed food aid last year, I’ll cover this on its own later in the week because I need to put both sides of the debate so you can decide. Today we visited Finlay’s farm on the slopes of mount Kenya, although we were virtually on the equator we were also at 2300m altitude so the weather was fresher and suited to UK style cropping. The farm is managed by Marcus Rayner, who worked for Produce World before he moved here 2 years ago. There has been a lot of investment in reservoirs, the Packhouse and covered growing. The farm felt like a happy place, lots of smiles and waves from the local workers, Marcus travels around the farm every day on a motorbike and is clearly connected to his workforce. He has also improved yields and productivity. They grow Tender stem broccoli, sugar snap peas, mange tout, fine beans and runner beans, which have supplementary lighting to simulate UK Sumer day length. Also a fast developing fresh herbs business, mostly in tunnels with bio pest control, the crops looked & tasted wonderful, especially the aniseed flavoured Thai Basil mmmm! But it was also had a pioneer feel about it, triumph, (great looking crops) and disaster (120 mm hail storm in 3 hours) are close cousins in African farming. We then set out on a long drive down a very rough track through some wild grazing country to our overnight stop, we heard a clunking noise so stopped to check and the wheel nuts were all loose, close shave! A long day today, up at 5am for our first bit of R&R, we went on a short drive around a game reserve, saw rhino, giraffe, buffalo, Jackal and various bok. The scary bit was a big male baboon actually getting inside the van whilst some of the boys were still in it, we’re laughing now but could’ve been nasty. We visited Ravine Roses today, a very impressive company, owned by a local family with a very philanthropic approach, we learned about rose production using tunnels (on the equator very hot) integrated pest management, producing their own predator bugs, Swahili name dudu. We also learnt about Fairtrade, I now I finally get it. 10% of the ex farm price is put straight into the farms FT fund, this is administered and spent through a transparent and democratic process run by the workers and community. To quote Khaled the CEO, it is equally as good as the Waitrose Foundation but run in a different way; in fact we then went to visit a couple of projects where Waitrose Foundation and FT had worked in a joined up way. We visited the nursery funded by the Waitrose Foundation (for infants to 3 years), which is due to be opened next week and the Kindergarten school next door (3-6 years) was funded by FT. We also visited the community centre with library, computer room, doctors and pharmacy, bank and relaxing room. The business itself is nicely integrated and is LEAF Marque certified, they are rainwater harvesting and have a wetlands reed bed style water purification plant to recycle water from the pack house. They have a new dairy herd, which to my eye looked very good. Simon our dairy farmer was impressed with the quality of the milking routine and the animal welfare. The muck from the dairy and the green waste from the pack house will be going into an AD plant (under construction) and the gas generated will power the refrigeration unit in the flower pack house, these guys know what they’re doing! I was also very impressed with the team that showed us around, all local and extremely well educated and trained, Peter for instance, as well as being a fantastic communicator, he has a degree in Horticulture, Masters in Agronomy & an MBA, that leaves me for dust! Anyway folks what you’ve always wandered; Janice (the owner and marketing Director) took us through some UK market research on Roses; did you know that Ladies prefer Orange roses? Before you go rushing out to impress, they still want men to buy them red ones (passion), we suggested a mixed orange and red bunch to cover all bases! If you would like to be considered for a place for the next tour of good agricultural practice in Kenya then contact Susie Emmett susie@green-shoots.org for details of how to apply for the next AgriTour Kenya (http://www.green-shoots.org/agri-tour-kenya-2014/) in March 2014. Agri-Tour Kenya is organised by Green Shoots for Smiths Gore with financial support from RDPE. Where in the world are the best examples of Integrated Farm Management (IFM)? Susie Emmett, just back from guiding a group of UK farmers on a study tour of Kenya, blogs about why Kenya has lots to inspire us. This is the first post in a short series of posts on IFM in Kenya, subscribe to receive them straight to your inbox! Nine UK farmers, two buses, six days, 1,500 kilometres of ground-travel, tours of seven farming businesses, eight crossings of the equator and hours and hours of stimulating in-depth discussions. The result: so many sights and stories to share with farmers, family and friends at home. Equatorial Africa may not spring to mind for a tour of exceptionally good agricultural practice. But, as I have often seen on and near the Equator in central Kenya, the day length of about 12 hours, the average temperature and availability of water make growing conditions perfect for a wide range of crops from coffee to cabbages. The fantastic conditions do not just bring out the best in the crops, they bring out the best in certain farmers and scientists too. And it’s why I chose Kenya as the destination for a group of UK farmers to see excellent IFM in action. Amidst rolling hills covered with fragrant, blossom-heavy coffee near Thika is the Kenyan business, RealIPM, leading a global agricultural revolution. Owners Dr Henry Wainwright and Louise Labuschagne are wedded to biological pest control, as well as to each other. With an eye glass we can see the miniscule predatory insects, Phytoseiulus. RealIPM breeds these for sale and shipping in their billions to flower farmers in Kenya, Ethiopia and beyond to eat spider mite, enabling dramatic reductions in chemical pesticide use. Their field-scale products are impressive too, evident in the magnificent cabbages and carrots knee high around us. Dosed with a beneficial soil microbe, Trichoderma asperellum, they grow bigger, faster – and fight off pests for themselves. RealIPM have pioneered the use of another soil fungus to kill adult insect pests in banana plants. Using bee power to deliver this bio-pesticide to where it’s needed to kill thrips. Seeing all this was “mind expanding” for the farmers on the tour, leaving them full of respect for these trail blazers and buzzing with thoughts of how such innovations can become part of IFM back home. Andrew Burgess of Produce World used his blog (http://www.fruitnet.com/fpj/article/159929/blog-andrew-burgesss-journeys-of-discovery-kenya) on tour to share his impressions and is offering to host the first UK trials of some of the techniques seen. In the quiet Kenyan hill town of Eldema Ravine, a rose farm producing 80 million blooms a year nestles in the patchwork of homesteads of the 1,200 workers employed in the fastidious business of growing perfection. It’s a LEAF Marque certified farm. General Manager Peter Kamuren describes the rigorous and smooth-running quality standards system oiled by the high morale of staff and highest standards of management. The display board at the intake to the pack house displaying the day’s statistics of above 95% perfection in over 18,000 blooms picked for packing that day is much admired. The Ravine Roses team consistently supply excellent fresh flowers to four continents: fair dues to their agronomic, ergonomic, and economic skills and the high environmental performance with bio-bed waste water treatment, AD energy generation plant and so on. But it is fair trade and how the farm integrates business ambition with the improvement of quality of life for the surrounding community that is truly awe inspiring. Over half the flowers they sell are fairtrade. The 10% Fairtrade premium, combined with proceeds from Waitrose Foundation, goes not into the farm, but to the community-elected board to invest in facilities such as school classrooms and a community centre with a bank, clinic, IT centre, snooker room and library. Yes, Kenyan agriculture has problems. Serious problems, I agree. But what the Kenyan farming businesses I describe here demonstrate, is the true essence of ‘smart farming’ or ‘sustainable intensification’ or ‘Integrated Farm Management’ in perfect practice. The farmers who came on tour agree with me. It’s inspiring. It’s amazing. It’s humbling. See their blogs, and subscribe to this blog for more updates. We’re left buzzing with ideas about what a truly integrated farming business really is. It’s also a jolt and a wake-up call. In the UK more of us need to get the highest level of IFM in principle and then we need to get it into action in our fields, in our food supply chain and in our society. One key trait in the very best of IFM practitioners is an enthusiasm for helping others to achieve the same high standard. I think it’s great that these Kenyan businesses are prepared to share and show us the way ahead. Green Shoots Productions is a specialist communication and production company helping farmers and others to to inform, influence and inspire.